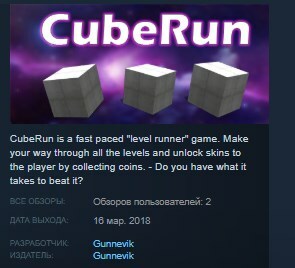 CubeRun is a level based game with a big variation of maps. During your gameplay you will experience levels in a lot of different difficulties. The levels are short but intensive and sometimes really nerve-wracking. Get power-ups by collecting specific "cans"